Elvis purchased his first guitar when he was just 11 years old. He wanted a rifle, but his mama convinced him to get a guitar instead. 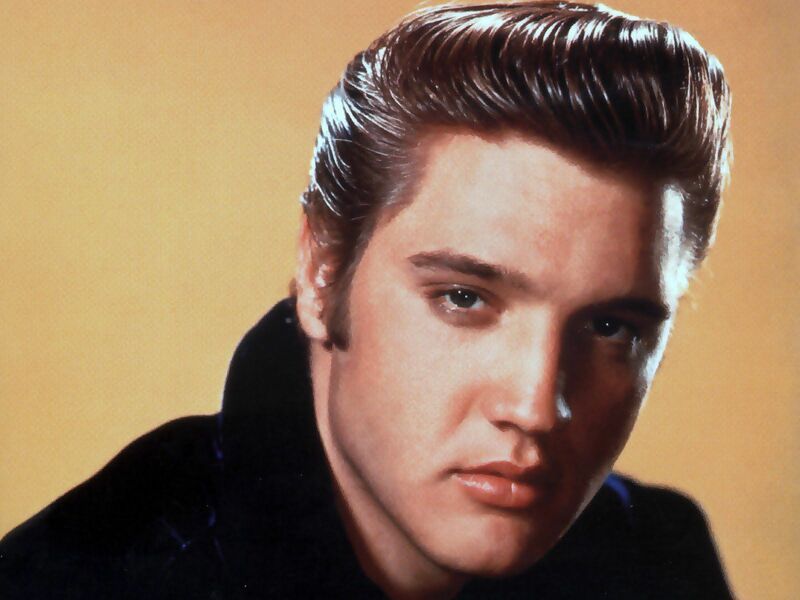 At 18, Elvis paid $4 to make his first record, a gift for his mama. His nickname for his manhood was reportedly Little Elvis. His breakthrough hit was Heartbreak Hotel, released in 1956 - a song inspired by a newspaper article about a local suicide. When performing on TV in 1956, host Milton Berle advised Elvis to perform without his guitar, reportedly saying, "Let 'em see you, son." Elvis' gyrating hips caused outrage across the U.S. and within days he was nicknamed Elvis the Pelvis. A Florida judge called Elvis "a savage" that same year because he said that his music was "undermining the youth." He was subsequently forbidden from shaking his body at a gig, so he waggled his finger instead in protest. Col. Parker is said to have always had an eye for talent and for a quick buck - prior to managing Elvis, Parker reportedly painted sparrows yellow to sell them as canaries. Recording Hound Dog in the studio, Elvis reportedly demanded 31 takes. Elvis bought his mansion, Graceland, in Memphis, TN in 1957 for $100,000. It was named by its previous owner after his daughter, Grace. In December 1957, Elvis was drafted into the U.S. Army, earning a $78 monthly salary. During his brief two-year stint on active duty, he was unable to access his music-generated income of $400,000. In 1959, while serving overseas in Germany, Elvis (then 24 years old) met his future wife, 14 year-old Priscilla Beaulieu. They were married 8 years later. Elvis' 1960 hit "It's Now or Never" so inspired a prisoner who heard it in jail that he vowed to pursue a career in music upon his release. The artist, Barry White, was then serving a 4-month sentence for stealing tires. Elvis and Priscilla's only daughter, Lisa Marie Presley, was born in 1968. Lisa Marie later married Michael Jackson and actor (and Elvis obsessive) Nicholas Cage. Mr. Cage is reportedly the only person outside of Presley's immediate family to have ever seen Elvis' Graceland bedroom. Following his divorce from Priscilla in 1972, Elvis was said to have allowed 'good-looking girls' who waited outside Graceland to enter afterhours. One night it was 152 women!